Kia’s cutesy super mini is getting an extensive update this 2017 (for the 2018 model year) featuring a bolder exterior design and modern cabin. 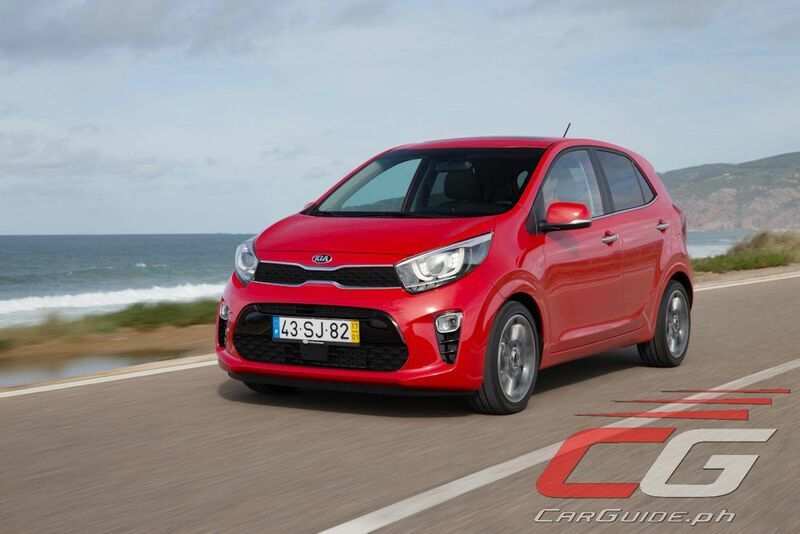 The all-new Kia Picanto, which officially bows in at the 2017 Geneva Motor Show, will go on sale in Europe starting mid this year with other markets to follow shortly. 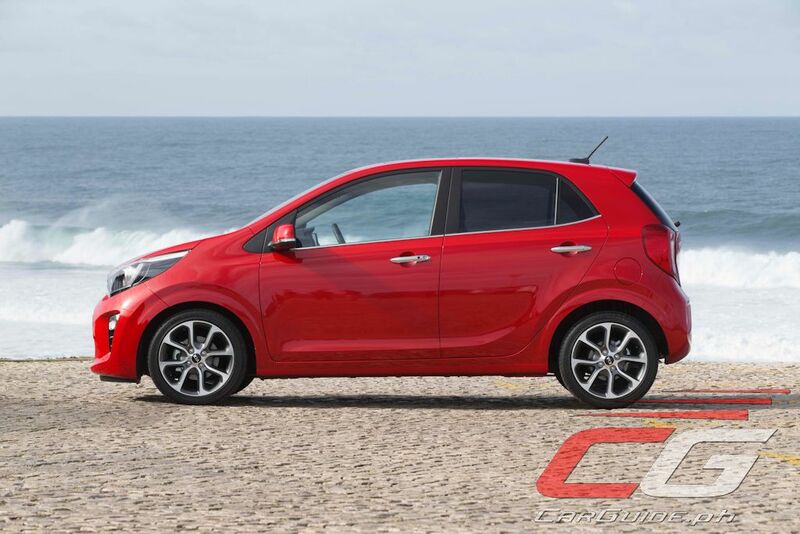 The third-generation Picanto exerts a more youthful look thanks to more assertive and bolder lines. 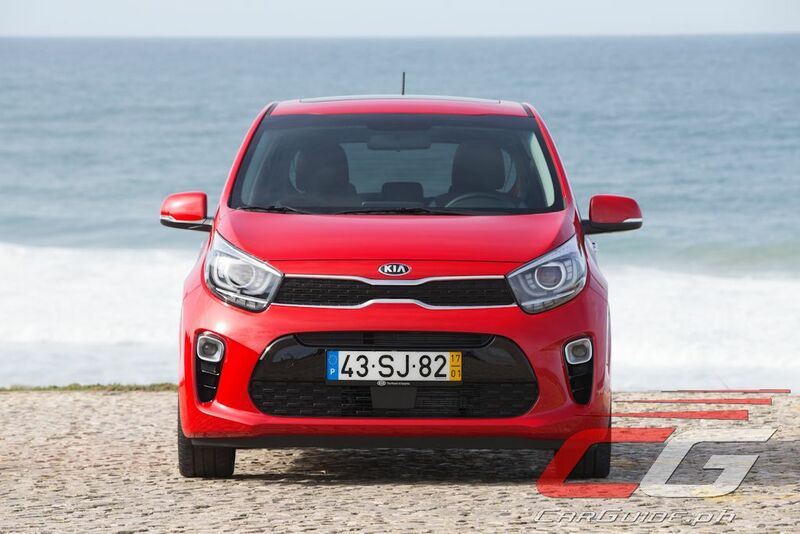 Designed by Kia’s design centers in both Korea and Germany, the all-new Picanto features an extended wheelbase (up 15 mm). Together with the shorter front overhang (less 25 mm), it makes the car look more planted. Towards the rear, designers have adopted the wide C-pillar design motif while also increasing the rear overhang by 10 mm. The front-end is dominated by projector-type headlamps with LED indicators and daytime running lights. A sharks-fin antenna will also be made available by the third quarter of 2017. The Picanto runs on standard 14-inch wheels with an option that goes all the way up to 16 inches. Eleven shades will be made available including six new colors: Lime Light, Shiny Red, Aurora Black, Pop Orange, Sparkling Silver, and Celestial Blue. And for the first time, the Picanto will be made available in the new GT-Line specification which adds even more sportiness thanks to revised bumpers with red, silver, and black highlights together with new side intakes, side skirts, and chrome-tipped twin exhausts. Inside, the 2018 Picanto boasts of a floating central touchscreen bringing many of the controls into the driver’s line of sight. The 7-inch touchscreen is ready for full smartphone integration boasting both Apple CarPlay and Android Auto. Together with the 7-inch touchscreen, a satin silver strip running across the dashboard gives better ambiance while large vertical air vents at both ends, “bookend” the front passenger compartment. 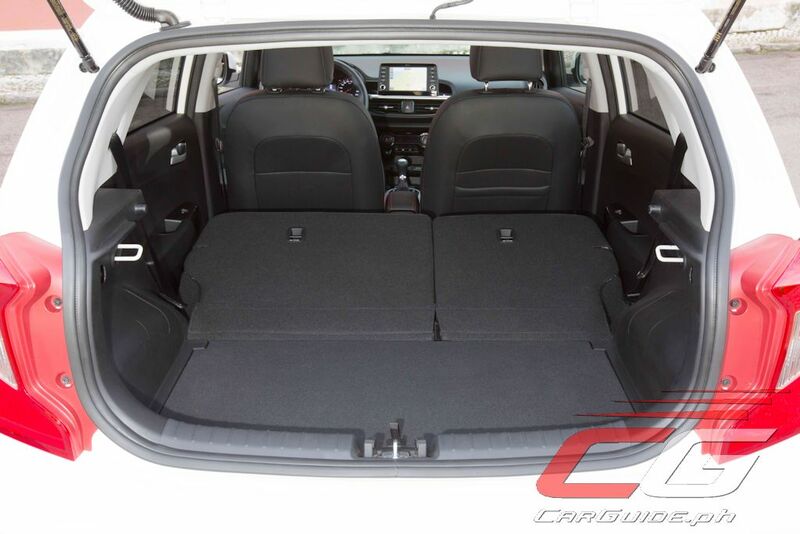 Despite its on-road footprint remaining the same as that of the outgoing model, the 2018 Picanto will offer improved leg- and headroom. This was achieved thanks to the dashboard being moved up by 15 mm. 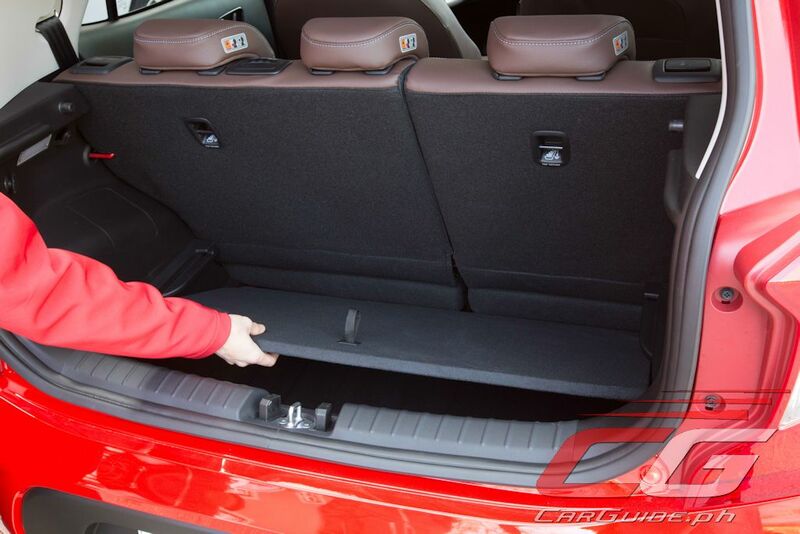 Meanwhile, the luggage compartment grows to 255 liters (most of any car in its class) and together with the two-step floor, additional storage can be created. 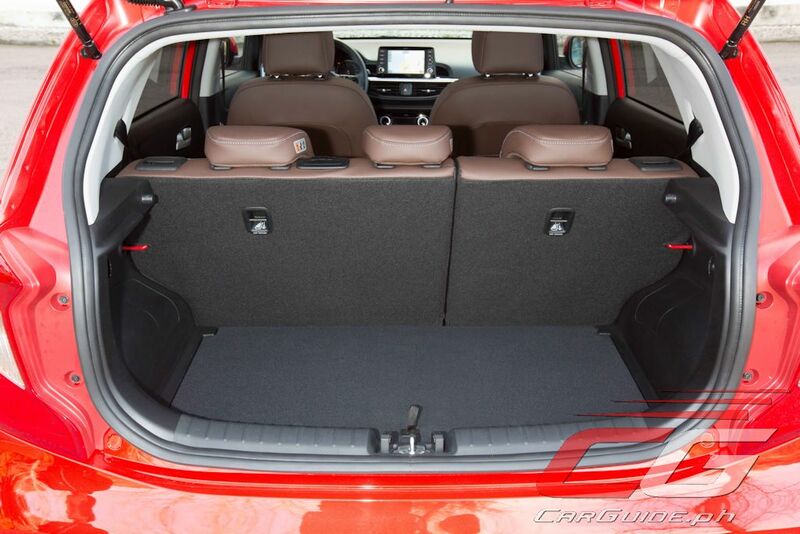 Lowering the rear seats, it boosts cargo capacity to 1,010 liters. Underpinning the all-new Picanto is a heavily modified suspension with front MacPherson Struts and rear torsion beam axle. 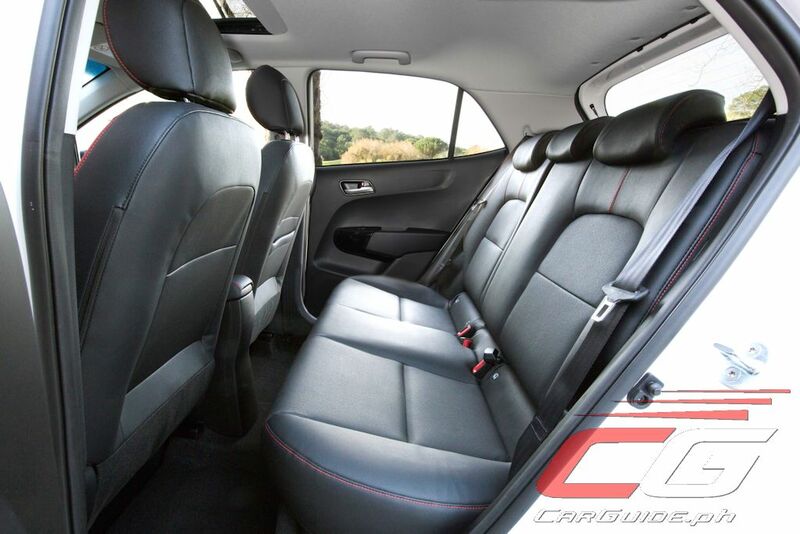 The Picanto’s anti-roll bars are 2 percent stiffer in the front and 5 percent stiffer in the back. In addition, the longer wheelbase contributes to a natural improvement in ride quality and stability on all roads. 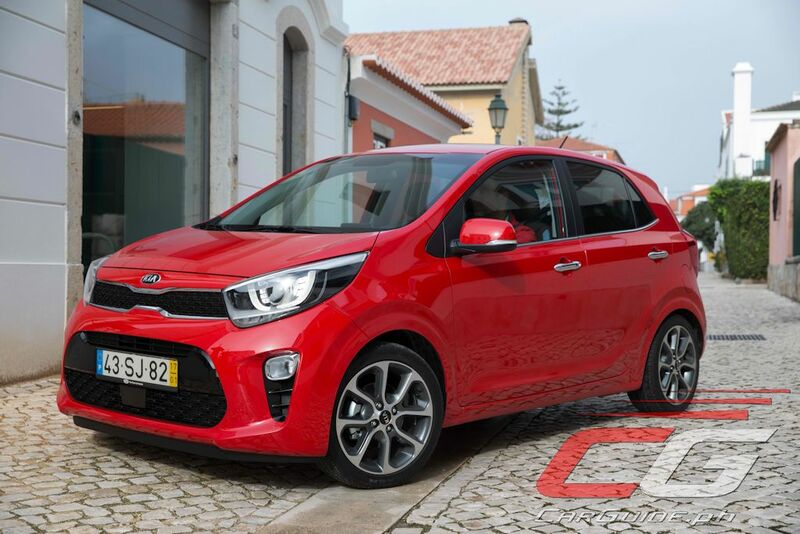 A new steering rack means the steering ratio has been quickened by 13 percent over the outgoing Picanto, from 16.5:1 to 14.3:1. Not only does this enable more immediate responses to driver inputs, but reducing the turns of the wheel lock-to-lock (from 3.4 to 2.8 turns) makes the Picanto even easier to drive at low speeds and in the city. 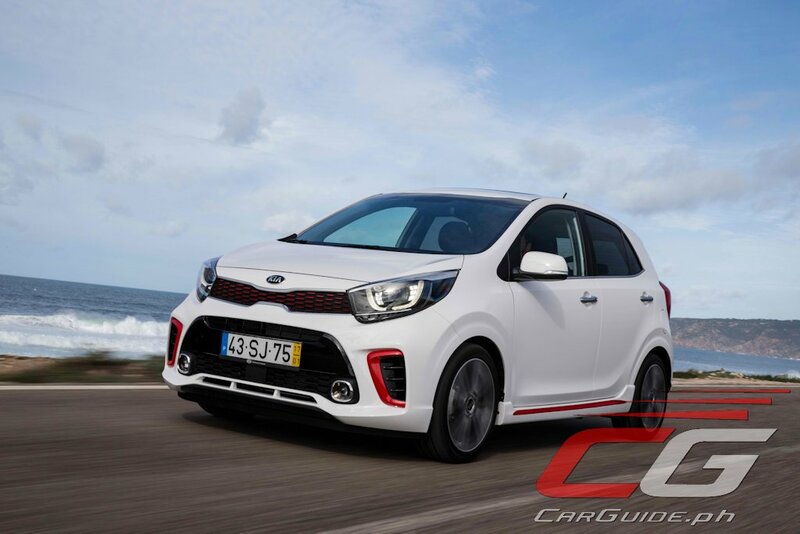 The new Picanto is the first car in its class to offer buyers torque vectoring by braking, an additional function of the Electronic Stability Control system. Hand in hand with the Picanto’s more responsive chassis is a range of highly-efficient small displacement gasoline engines. There will be 3 gasoline engines available. 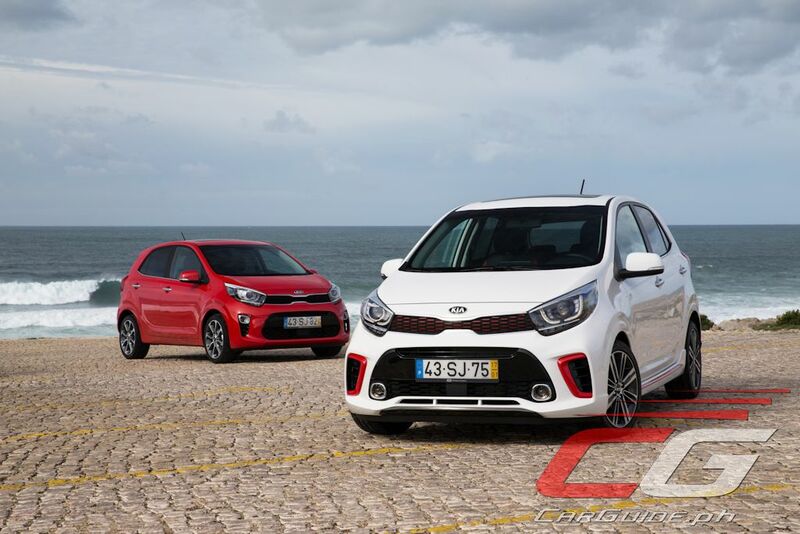 The 1.0-liter and 1.25-liter naturally-aspirated multi-point injection (MPI) engines have been carried over from the outgoing Picanto, with a range of enhancements to improve efficiency and driveability. And from Q4 2017, a new 1.0-liter turbocharged direct injection power unit will be made available. All engines are paired with a five-speed manual transmission, delivering power to the front wheels. Idle Stop & Go is available on certain manual models, while the 1.25-liter MPI engine is also available with a four-speed automatic transmission. The 1.0-liter MPI engine provides the entry point into the Picanto range, producing 67 horsepower at 5,500 rpm and 96 Nm torque. The mid-range 1.25-liter MPI produces peak power of 84 horsepower and 122 Nm of torque. 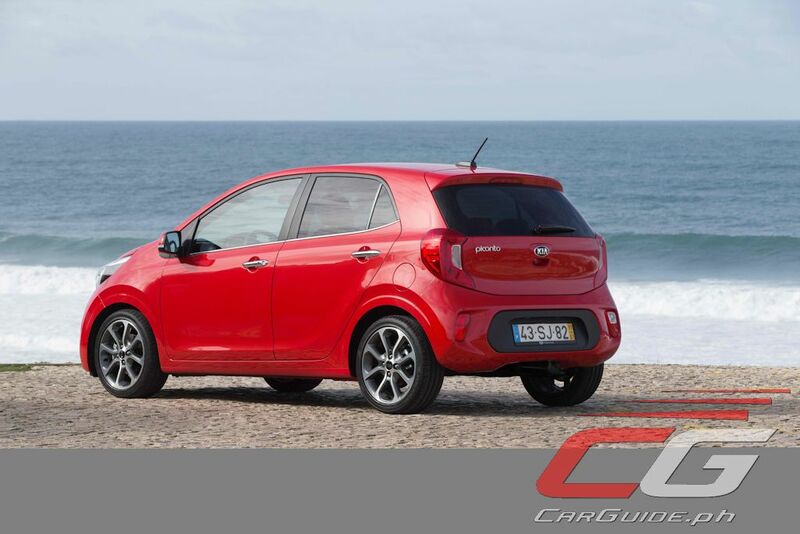 The 1.0-liter T-GDI engine, available in the Picanto for the first time, produces 100 horsepower and 172 Nm torque, the highest power and torque outputs ever offered in Kia’s A-segment model. 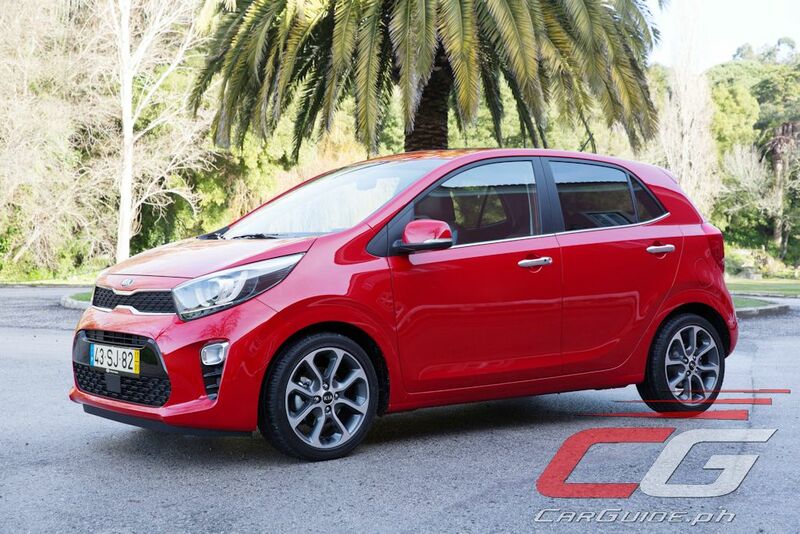 Columbian Autocar Corporation (CAC), the distributor of Kia in the Philippines has confirmed that the all-new Picanto is slated for release in the country. They have yet to divulge details on specifications, pricing, or even timetable yet. 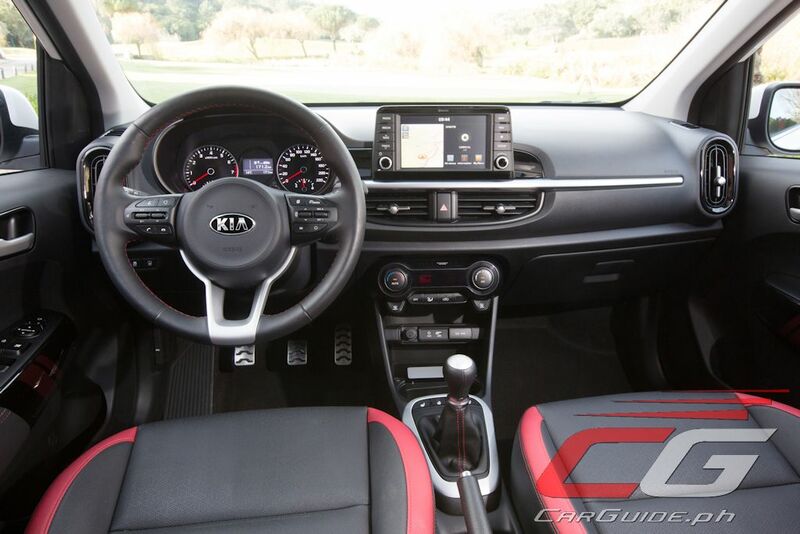 A turbocharged engine that's Korean? I smell trouble. There's trouble alright. But its in your outdated car mentality. Just speaking the truth bro. Turbocharged Korean cars will give you headaches. How come? What do you mean by trouble? Kindly elaborate please, Is the turbo charged Engine of the 2018 Kia Picanto outdated? Does it need some tweaking? Or else?